Why undertake a retrofit or energy generation project? James is currently a Project Director in the Waste Sector. 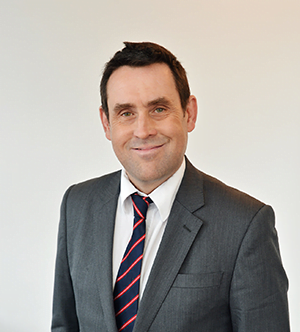 James has extensive commercial experience spanning the construction and waste management sectors. He acted as a Transactor for the WIDP Programme supporting a range of Local Authorities on their big ticket residual treatment procurements, before joining the Welsh Government’s food waste treatment programme to lead the successful Food Waste Treatment PPP for Cardiff and the Vale of Glamorgan. More recently James acted as Transactor for the successful Swansea/Bridgend and Heads of the Valleys Anaerobic Digestion PPPs, whilst developing practical solutions to support Wales’ Circular Economy ambitions. Commercialisation is not only on the rise, but is swiftly becoming necessary to adopt in local government. So how do you go about launching a venture? Only one day to go until the first of the commercialisation webinars. Email josie.brewer@local.gov.uk to secure your place. Commercialisation is not only on the rise, but is swiftly becoming necessary to adopt in local government. So how do you go about launching a venture? The first of the commercialisation webinars launch this Thursday. Email josie.brewer@local.gov.uk to secure your place. © LOCAL PARTNERSHIPS | Local Partnerships LLP is a limited liability partnership registered in England and Wales no. OC346845. The registered address is 18 Smith Square, London SW1P 3HZ.